Hibernation may be an option this weekend, but if you’re looking to venture out there are some hot ideas you might want to entertain. Warm up with the Chinook Series which blows into Edmonton with theatre, dance and other artistic performances at various venues until Feb. 17. After a laugh? The WildFire Festival of Improv is Rapid Fire Theatre’s annual teen improv festival at the Citadel Theatre with teams from schools across the province goes until Feb. 24. The Edmonton RV Expo and Sale rolls into town for its 39th year with more than 500 swanky rides on display from Thursday until Sunday at the Edmonton Expo Centre. Winter, polar and alpine are themes on the big screen as part of the International Festival of Winter Cinema this weekend and next at William Hawrelak Park as part of the Silver Skate Festival. Country singer Neal McCoy has three platinum albums and a load of local fans and he’s making an appearance at the River Cree Casino Saturday night. They’ve played The Ellen DeGeneres Show and been featured in a cartoon on Netflix. Leduc talents The Melisizwe Brothers are playing Friday at the Arden Theatre in St. Albert and Saturday at Horizon Stage in Spruce Grove. Women of Folkways is a presentation of the Northern Lights Folk Club at Parkview Community Hall featuring Maria Dunn, Kaia Kater and Dana Wylie on Saturday night. An international recognized blues ambassador for the Motor City, Thornetta Davis bringing more than 30 years of craft to the stage of Festival Place in Sherwood Park on Saturday night. The Alberta Cup is where the top men’s curling teams battle it out to represent the province at the 2019 Brier. Competition goes at the Ellerslie Curling Club until Sunday. It’s all about the hoops at Edmonton’s Harry Ainlay School for the 45th Tri-Prov basketball tournament on Friday and Saturday. The Sharks are in town to face off against the Oilers on Saturday night and the Oil Kings are in action against the Regina Pats at Rogers Place on Sunday. If you’re in the community of Dovercourt, you can take in their winter carnival on Sunday from noon until 4 p.m. complete with family milk jug curling. 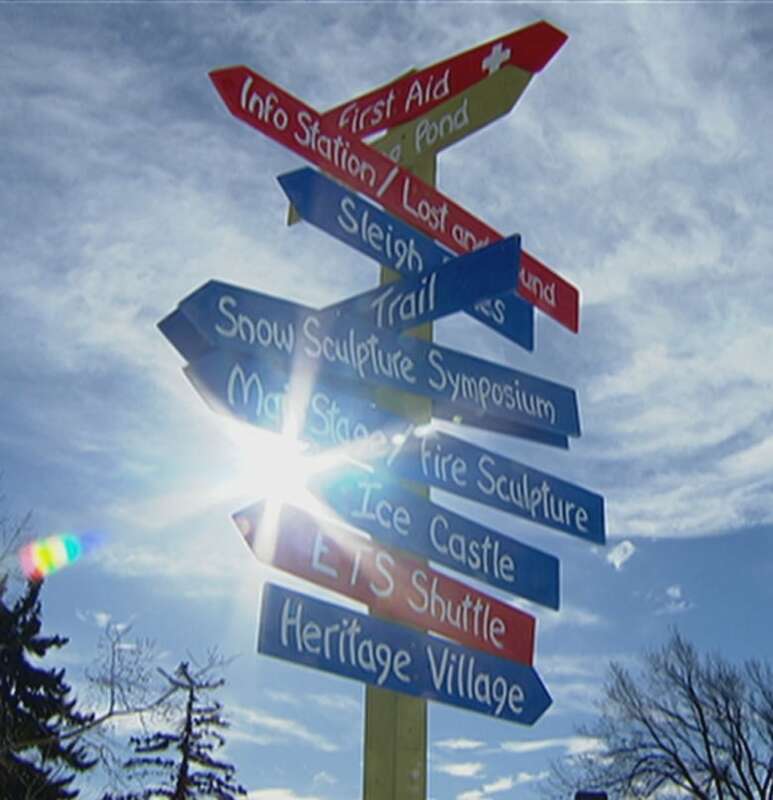 The Silver Skate Festival slides into Hawrelak Park with snow sculptures, winter sports, a heritage village and more on until Feb. 18. To see more fun features and community events you can catch Our Edmonton this week on Saturday at 9 a.m. and Sunday at 11 a.m.